Located in proximity to Mawsmai Falls, the Khasi monoliths is a beautiful intricate structure that represents the interconnected underground mazes and passages beneath ancient caves. Explore this place can raise that curiosity about the ancient culture and civilization in North Easty part of India. People who visit this destination can see several Khasi monoliths, which are stones standing in the memories of the ancestors as they lie scattered all around. You will have to take a cab to reach here. 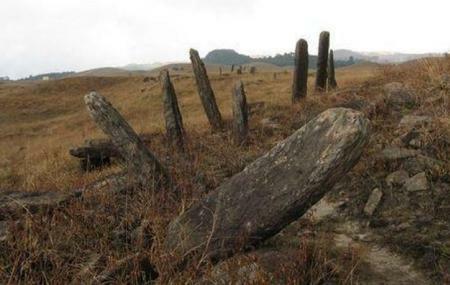 How popular is Khasi Monoliths? People normally club together Wakaba Falls and Umiam Lake while planning their visit to Khasi Monoliths.